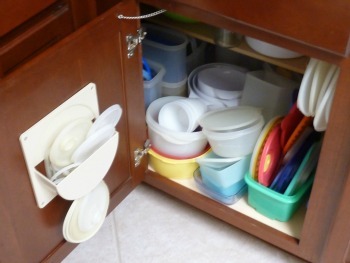 This is our stash of food storage containers... the backbone of our frugal eating routine. Most of these are brand names, rhymes with supperware, and are mostly picked up at Goodwill or other thrift stores for pennies... buy them for pennies... save dollars. The use of storage containers can be utilized at home or if you're still working at the office, or at school... the same applies when in the car. Benjamin Franklin said, or was at least credited with saying, first, " Waste not, want not"...these containers are the backbone of putting that adage to work. This will improve your health and mean less money spent on health insurance...you do want to save money on health insurance don't you? My daily food intake during the week is very repetitive, cheap, and healthy. Breakfast, upon returning from the gym, is oatmeal ( bought in bulk, no sugar), with bananas when available and a scoop of walnuts... boring perhaps, but it is filling and healthy, and it's difficult to put a price on good health. Lunch, is where these food storage containers come into play... on a daily basis. My lunch consists of leftovers from the previous evening's meal, if we consume the entire meal, there is always beans ( black-eyed peas are my favorite) or rice (brown bought in bulk) in containers like these in the refrigerator or freezer. Since tonight is Thursday, I know the evening meal will be Costco chicken, see how we stretch that out into four meals, for less than five dollars. No matter what our situation, everyone can utilize storage containers for their lunch. If you're working, rare is the office that does not have a microwave oven. If you are traveling or worrying about the leftovers spoiling, a cooler bag is always in our car. You may need to add a little ice if you live where we do, Phoenix, in the summertime. What is stopping you from implementing these into your daily life now? Thanks for reading frugal eating...here's to health and saving money.